For four decades we have specialized in providing solutions to the farmers, our main activity is the manufacturing of rotary cutters, fertilizer spreaders, forage windrowers, mowers, rakes, harrows, forklifts, chisel plows, and other equipment. To this tradicional range of products, we add the Yomel-Hilcor HJ3 precision seeder, a unique product in the market, whit a monograin seedin system which ensures the mmost competitive yields and savings in seeding. Yomel s.a. has a network of sales and services to reach all parts of the country, made up of dealers located in major cities throughout Argentina. Through hard work as a team operations in the foreign market have increased. They are due to the big growth of foreign trade department which created new distribution networks in the world. For four decades we have specialized in providing solutions to the farmers, our main activity is the manufacturing of rotary cutters, fertilizer spreaders, forage windrowers, mowers, rakes, harrows, forklifts, chisel plows, and other equipment. To this tradicional range of products, we add the Yomel-Hilcor HJ3 precision seeder, a unique product in the market, whit a monograin seedin system which ensures the mmost competitive yields and savings in seeding. 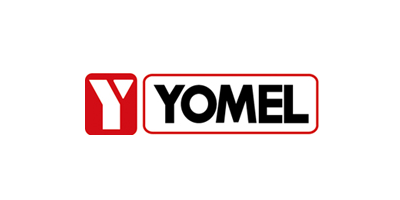 Yomel s.a. has a network of sales and services to reach all parts of the country, made up of dealers located in major cities throughout Argentina. Through hard work as a team operations in the foreign market have increased. They are due to the big growth of foreign trade department which created new distribution networks in the world. We have commercial presence in the following countries: Brazil, Chile, Uruguay, Bolivia, Venezuela, Perú, Paraguay, Panamá, Ecuador, Costa Rica, Nicaragua Dominican Republic, Guatemala, Mexico, Colombia, France, New Zealand anda Australia. To design, build and implement improvements, is the working philosophy that we apply erevy day. Each of us who makes up Yomel makes a coomitment to quality, reflected in our products and services. This commitment of our people is one of our greatest assets as a company.